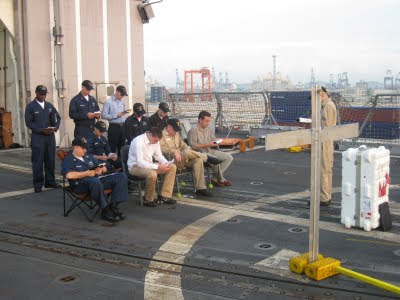 This week I'm giving a short overview of ministry in the Navy. 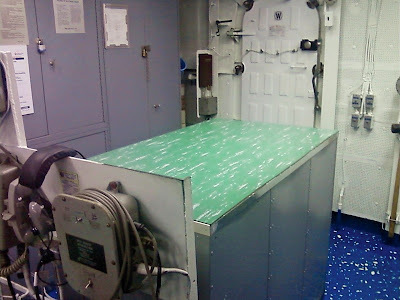 Continuing this week with the theme of shipboard ministry, I wanted to give a short photo tour of 5 places I've ministered in on board the ship. 3. Here we are in my shop, where I prepared my Bible meetings, typed my journal entries, and spent many moments in prayer. I also met with other sailors here both for witnessing and for mentoring. 4. 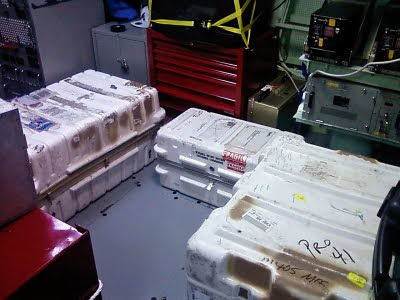 In the Computer Room, where I used to stand watch as a junior sailor on my last ship, we turned some storage boxes around and conducted our Bible meetings. I will be posting more on this later this week. 5. 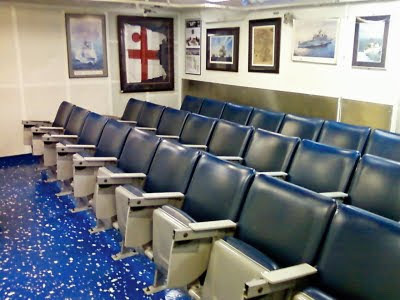 Finally, there is the flight deck. I didn't lead this service, but helped plan it and set up for it. This was the location for our Easter Sunrise Service, held in port Thailand. That was an awesome morning! 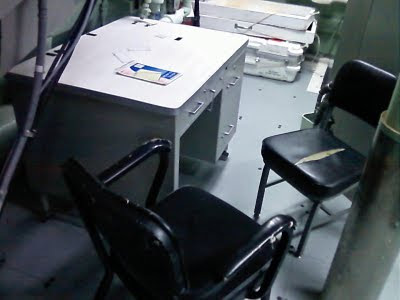 And that is the short tour of our ministry area on board the USS Antietam. I hope you enjoyed it! Keep up the good work I really appreciate you guys. I came by you through Challies Dot Com. Thanks for your comment! I appreciate it. Feel free to come back around any time! This is amazing. Keep up what you're doing for the Lord! Thanks for visiting my site brother!